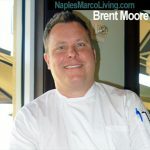 Welcome to a casual sensational lunch and dinner at Ritz-Carlton Naples. 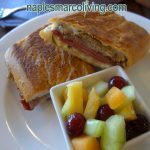 We were looking for a great place to have lunch or dinner in Naples Florida and discovered Sydney’s Pub at Tiburón Golf Course at the Ritz Carlton Naples. This is that “someplace special”. Sydney’s Pub is open to the public and features a Contemporary American menu. 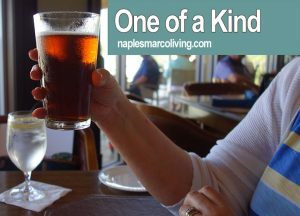 Sydneys Pub, Naples offers views of the beautifully manicured putting green at the Tiburón Golf Course and serves chef-created food that will truly impress and satisfy. 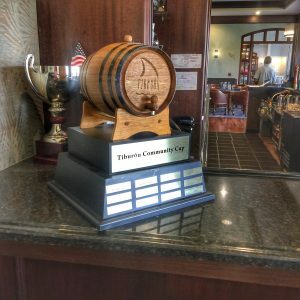 Begin your culinary adventure with a Barrel Aged “Community Cup Cocktail” a classic Manhattan. One of the best I have ever had. As for libations, the one-of-a-kind Tiburon Red Ale is a must try for the craft beer connoisseur. Tiburón Red is a special brew only available here at Sydney’s. Many fine wines are also available by the bottle or glass. Some of our favorites at Sydney’s are the Fried Pickles with Chipotle-Lime Ranch dipping sauce and the Lemon Garlic Grilled Wings. We also loved the Slow Roasted Bosc Pear Salad. 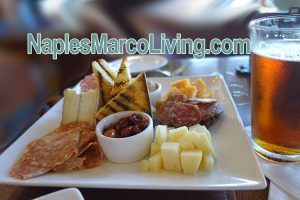 The appetizers and salad were quite generous and could easily be shared. 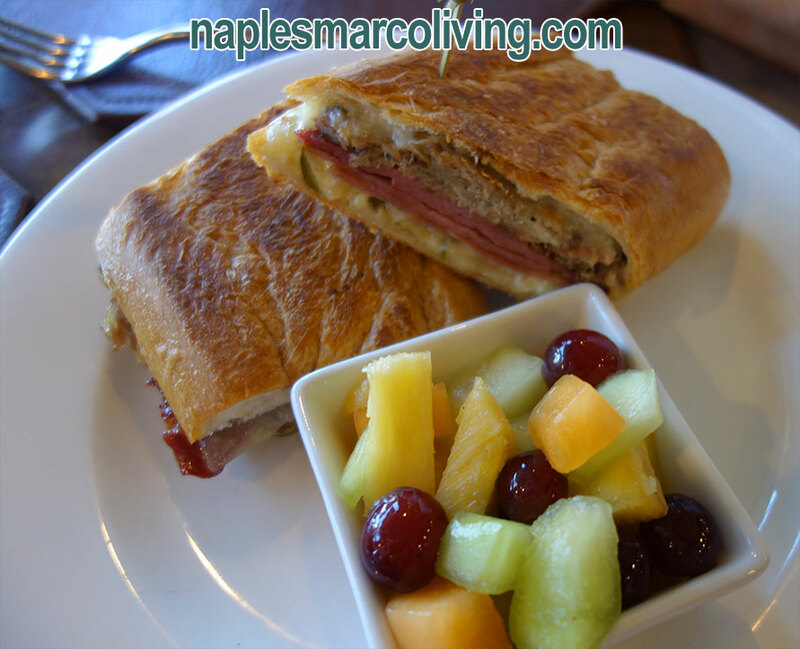 We also tried the Cubano Sandwich and the amazing Florida Grouper & Chips served with fries and coleslaw. The Chili was outstanding. Sydney’s also offers flatbread, pressed sandwiches and pub selections. Desserts change daily, the panecotta was exceptionally delightful. Large portions, really good food, relaxed atmosphere, skilled bartenders and sensational views. 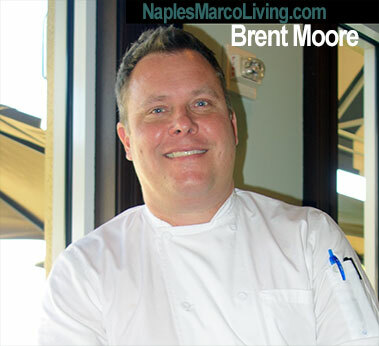 We heard Executive Chef Brent Moore features Beef Stroganoff a club favorite every Monday night. Our experience at Sydney’ s was fabulous. The waitstaff attentive and top notch, the atmosphere relaxing and casual. The scenery overlooked over the beautifully landscaped Greg Norman designed golf course. How fun. Sydney’s Pub is open to the public Monday thru Friday for lunch and dinner. 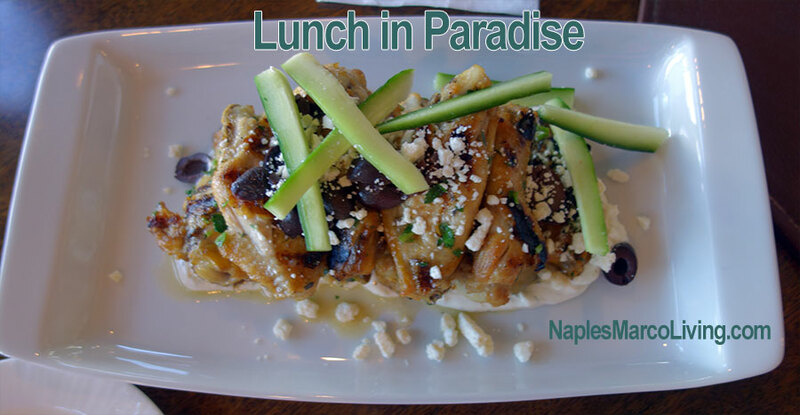 Weekends for lunch, and Happy Hour daily. 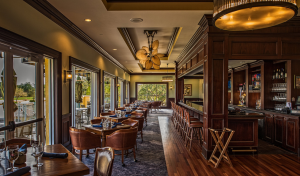 Sydney’s Pub makes the perfect setting for casual Naples dining or relaxing with friends in the comfortable lounge or bar terrace at Sydney’s Pub at Tiburón Golf Club Naples.